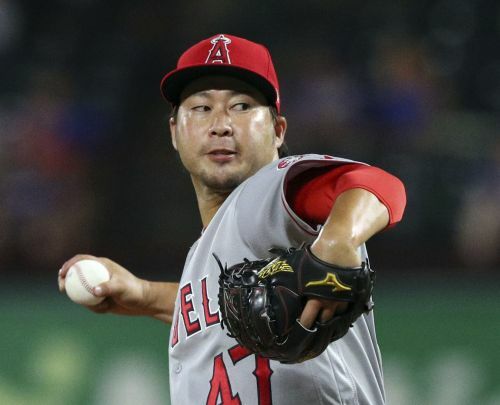 CHICAGO (AP) — Reliever Junichi Tazawa has finalized a minor league contract with the Chicago Cubs and will report to big league spring training. If added to the 40-man roster, Tazawa would receive a one-year contract paying $800,000 while in the major leagues. He could earn $450,000 in performance bonuses for games pitched and $750,000 for games finished. The 32-year-old right-hander was 1-1 with a 7.07 ERA in 31 games last season for Miami and the Los Angeles Angels. He was released by Miami on May 21, signed a minor league deal with Detroit on June 3, was released July 9 after seven games with Triple-A Toledo and signed with the Angels four days later. Tazawa is 21-26 with a 4.12 ERA in nine big league seasons that began with Boston (2009-16) before he joined the Marlins in 2017. He would get $50,000 each for 40 and 45 games, $75,000 apiece for 50 and 55 and $100,000 each for 60 and 65. He would get $75,000 each for 40 and 45 games finished, $100,000 for 50, $200,000 for 55 and $300,000 for 60. Chicago also announced minor league deals Wednesday with right-handers George Kontos, Christian Bergman, Carlos Ramirez, Colin Rea and Rob Scahill; left-hander Mike Zagurski; catcher Francisco Arcia; infielders Cristhian Adames and Phillip Evans; and outfielders Jim Adduci and Evan Marzilli.